Simon & Schuster became the third of five major publishers to reach a settlement with an antitrust lawsuit that now counts 29 states as its plaintiffs, CNet reported on Thursday. The complaint had accused the publishers of colluding with Apple on an e-book price fixing scheme. According to the report, attorneys general from Texas and 15 other states filed the complaint and were later joined by several other states. Apple and some of the publishers also face an antitrust complaint from the U.S. Department of Justice and a class-action lawsuit from consumers. The iPad maker has said it is looking to go to trial in the DoJ case because it wants to validate that the suit is "not an appropriate case against" it. Hachette, Simon & Schuster and HarperCollins have each reached settlement agreements with the Justice Department. The price fixing allegations arise from talks that Apple and the publishers held to decide to switch e-books from the wholesale model that Amazon was using for its Kindle to an agency model for iBooks that would let publishers set their own prices. Shortly after the launch of the iBookstore, e-book prices rose from Amazon's subsidized price of $9.99. A Samsung official reportedly told the Korea Economic Daily off the record that customers had placed roughly nine million preorders of the company's Galaxy S III handset across over 100 carriers globally, as noted by Reuters. The South Korean electronics maker first unveiled the Galaxy S III earlier this month. The smartphone has a quad-core processor, 1GB of RAM and a 4.8-inch Super AMOLED screen. 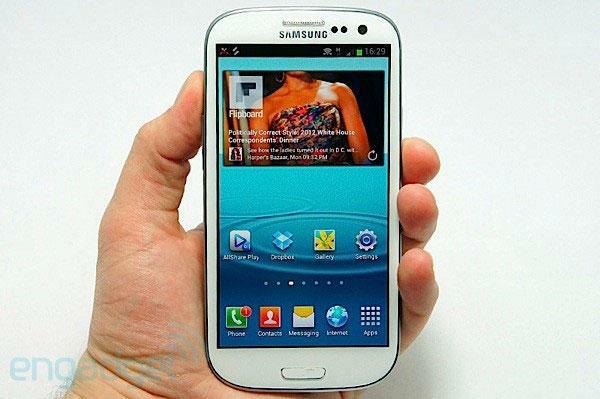 According to one recent analysis, the device's predecessor, the Galaxy S II, is the most popular Android phone. Among nearly 681,900 devices tracked by OpenSignalMaps, the Galaxy S II made up 9 percent of the total. Overall, Samsung represented roughly 40 percent of Android devices monitored by the app maker. Apple and Samsung have been in close competition for the top spot among global smartphone makers. Though Samsung has stopped providing specific figures on smartphone sales, market research estimates proclaimed the company as the leader in the first quarter of 2012. In comparison to the alleged Galaxy S III preorder numbers, the iPhone 4S, Apple's most-recent smartphone, had record first-day preorders of one million units last October. Apple declined to say exactly how many advance orders it took overall, but it did announce that the first weekend of iPhone 4S sales set a record with four million units. DigiTimes cited "the latest market rumors" on Friday as saying that Amazon will likely release a 10.1-inch Kindle Fire in the third-quarter of 2012. The company also was believed to be "tentatively suspending" the launch of a rumored 8.9-inch model. Amazon is reportedly making the move to "focus its competition against Apple's iPad," the publication cited industry sources as saying. The insiders also said that the 8.9-inch model had been meant to challenge Samsung's Galaxy Note tablets. 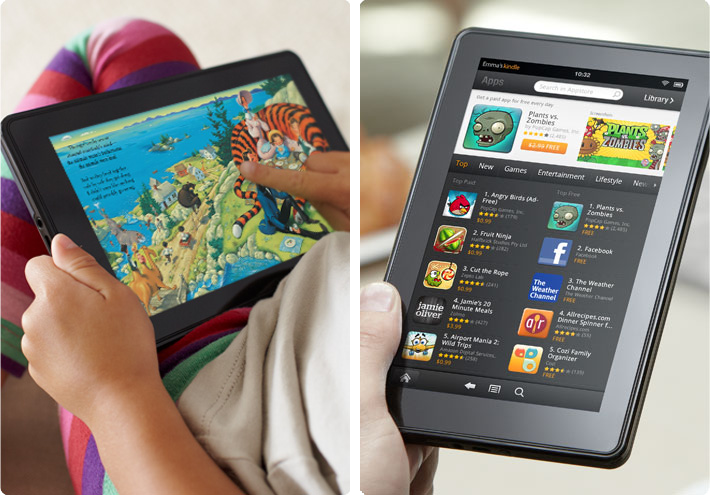 Sources went on to estimate that Amazon could attain 30-40 million tablet PC orders this year. It should be noted, however, that DigiTimes' sources have a spotty track record. Though the Kindle Fire got off to an impressive start late last year, sales may have slowed going into 2012. Data released by IDC earlier this month showed that Kindle Fire sales dropped to just 4 percent of sales in the first quarter of this year, down from 16.8 percent in the holiday quarter of 2011. Apple's share of global tablet sales was estimated to be at 68 percent in the March quarter. Analyst Ming-Chi Kuo told AppleInsider last year that Amazon was working on a 10.1-inch Kindle tablet codenamed "Coyote" alongside development of an 8.9-inch tablet. However, suppliers were believed to have experienced difficulty with Amazon's requirements for the 8.9-inch device.